Here’s our useful guide to finding the hoop for you. 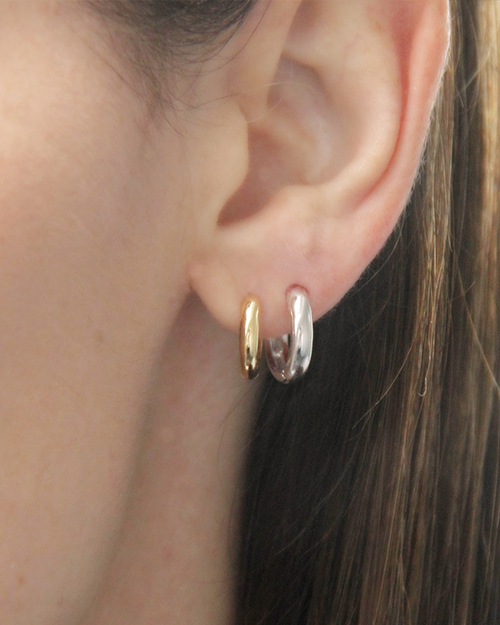 This style is easy to wear, it’s small and indiscreet and a great hoop to wear everyday. 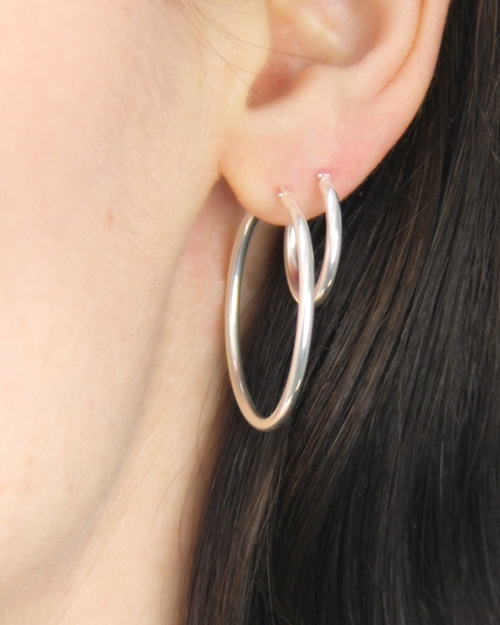 It sit’s snuggly under the earlobe and with the multiple piercings that are in fashion at the moment it can easily be styled with either larger hoop or a number of studs. The midi hoop is a classic, it’s the perfect hoop you can wear to work and then out for drinks after, because of their size it means they’ll be comfy to wear all day, especially if you chose a skinny pair rather than a chunky style. The statement hoop is how you make a statement without having to make an effort, they’ll add that extra something to a denim and t-shirt look and they’ll add the wow factor to a little black dress. Hoops don’t have to conform to a traditional circular shape, they can be oval, have a twist or be made of pearls, so if dare to be different an like to stand out from the crowd this is the style for you. 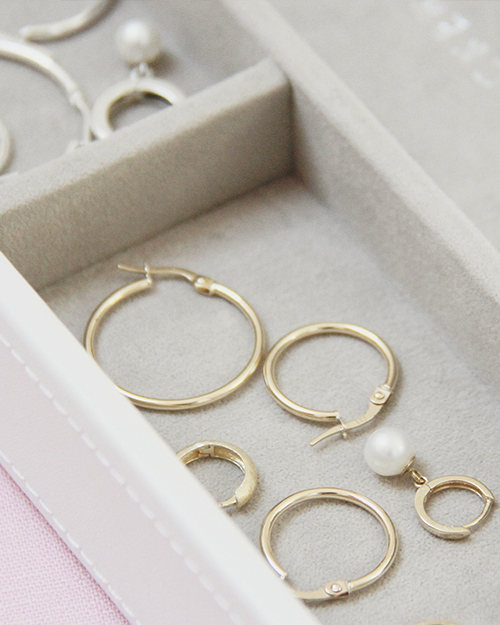 Shop our collection of hoop earrings.